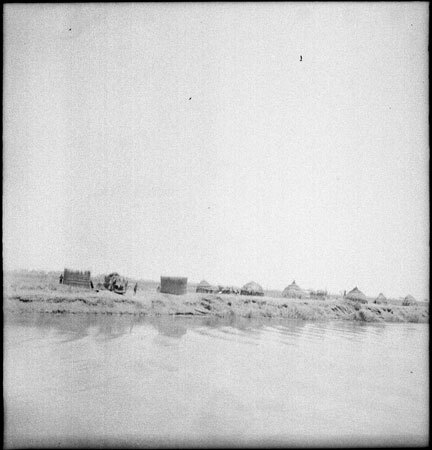 Looking from a riverboat towards a dry season camp on the bank, consisting of windbreaks and huts, and possibly belonging to a Nuer community. Morton, Chris. "?Nuer dry season camp" Southern Sudan Project (in development). 03 Jan. 2006. Pitt Rivers Museum. <http://southernsudan.prm.ox.ac.uk/details/2005.51.316/>.